Bullying is a common experience for many children and adolescents. Surveys indicate that as many as half of all children are bullied at some time during their school years, and at least 10% are bullied on a regular basis. Bullying behavior can be physical or verbal. Boys tend to use physical intimidation or threats, regardless of the gender of their victims. Bullying by girls is more often verbal, usually with another girl as the target. Bullying has even been reported in online chat rooms, through e-mail and on social networking sites. Children who are bullied experience real suffering that can interfere with their social and emotional development, as well as their school performance. Some victims of bullying have even attempted suicide rather than continue to endure such harassment and punishment. Children and adolescents who bully thrive on controlling or dominating others. They have often been the victims of physical abuse or bullying themselves. 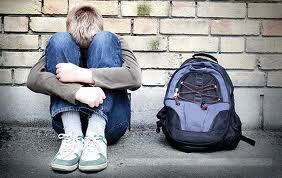 Bullies may also be depressed, angry or upset about events at school or at home. Children targeted by bullies also tend to fit a particular profile. Bullies often choose children who are passive, easily intimidated, or have few friends. Victims may also be smaller or younger, and have a harder time defending themselves. If you suspect your child is bullying others, it’s important to seek help for him or her as soon as possible. Without intervention, bullying can lead to serious academic, social, emotional and legal difficulties. Talk to your child’s pediatrician, teacher, principal, school counselor, or family physician. If the bullying continues, a comprehensive evaluation by a child and adolescent psychiatrist or other mental health professional should be arranged. The evaluation can help you and your child understand what is causing the bullying, and help you develop a plan to stop the destructive behavior. If you suspect your child may be the victim of bullying ask him or her to tell you what’s going on. You can help by providing lots of opportunities to talk with you in an open and honest way. Ask your child what he or she thinks should be done. What’s already been tried? What worked and what didn’t? Seek help from your child’s teacher or the school guidance counselor. Most bullying occurs on playgrounds, in lunchrooms, and bathrooms, on school buses or in unsupervised halls. Ask the school administrators to find out about programs other schools and communities have used to help combat bullying, such as peer mediation, conflict resolution, and anger management training, and increased adult supervision. Don’t encourage your child to fight back. Instead, suggest that he or she try walking away to avoid the bully, or that they seek help from a teacher, coach, or other adult. Help your child practice what to say to the bully so he or she will be prepared the next time. Help your child practice being assertive. The simple act of insisting that the bully leave him alone may have a surprising effect. Explain to your child that the bully’s true goal is to get a response. Encourage your child to be with friends when traveling back and forth from school, during shopping trips, or on other outings. Bullies are less likely to pick on a child in a group. If your child becomes withdrawn, depressed or reluctant to go to school, or if you see a decline in school performance, additional consultation or intervention may be required. A child and adolescent psychiatrist or other mental health professional can help your child and family and the school develop a strategy to deal with the bullying. Seeking professional assistance earlier can lessen the risk of lasting emotional consequences for your child. S.A.C.K. also proudly serves Norco, Riverside, Lake Elsinore, San Bernardino, Eastvale, and surrounding areas. When you see or hear bullying . . . what can YOU do? Intervene immediately. When you do nothing, you send the message that bullying is acceptable. If you ignore or minimize the problem, victims will not believe that adults understand or care, or that they can help. If you don’t intervene, children won’t either. Intervene even if you’re not sure it’s bullying. Observing children’s actions, words, body language, and facial expressions will help you determine if bullying is occurring. Even if it’s not, aggressive behaviors need to be stopped. Don’t impose immediate consequences. Allow yourself time to consider the incident and obtain any clarifying information—then decide the best course of action. Don’t ask children to “work things out” for themselves. Bullying is different from an argument or conflict; it involves a power imbalance that requires adult intervention. Give praise and show appreciation to helpful bystanders. Children who try to help the victim or stop the bully are key to bullying prevention. S.A.C.K. also proudly serves Lake Elsinore, Riverside, Norco, San Bernardino, and surrounding areas.